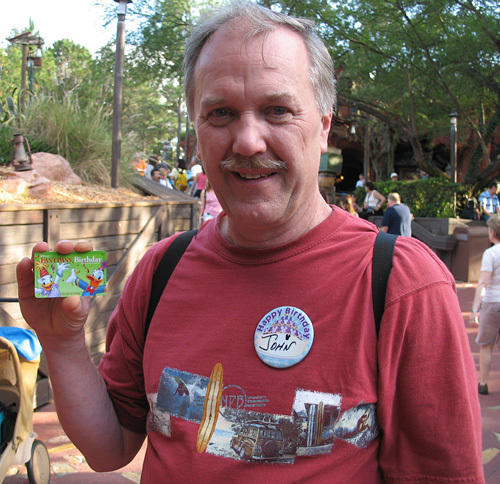 Happy Birthday Dad …and a Walt Disney World flashback! If you recall, back in 2009 Disney was running their "What will you celebrate?" promotion where you got free admission to the theme parks on your birthday. Since we already had park tickets, they offered Dad other benefits. We chose the "Birthday Fastpass"
This allowed the birthday recipient and 5 other guests to get what was basically a universal Fastpass to any attraction, selected from pre-defined groups at each park. It sure was a fun time to celebrate Dad's birthday at the theme parks. Thanks for the memories… and happy birthday Dad!